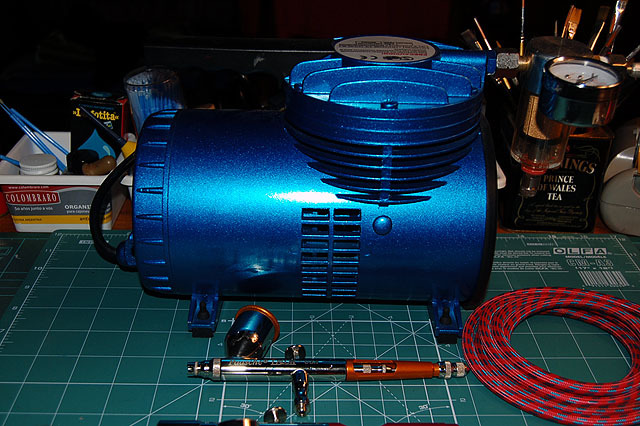 Mini air Compresor model AS06 (made in China) with air filter and air pressure gauge. Paschee Talon double action gravity type airbrush. 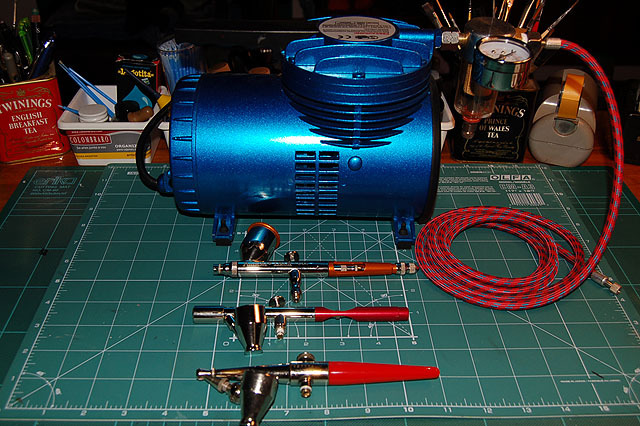 Vega double action siphon type airbrush. Paschee single action siphon type airbrush. 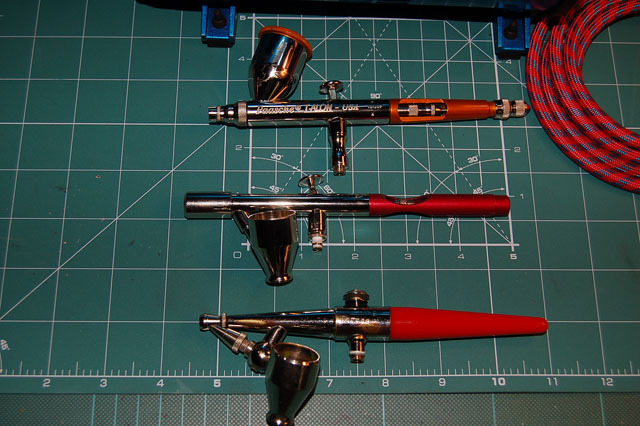 With these three airbrushes I can applly acrilics, enemels, varnishes and make any type of painting and camo on my models.